Dr. Robert K. Dixon is currently Leader of the Climate Change and Chemicals Team, the Global Environment Facility (GEF). Since 1991 the GEF has provided over $10 billion in financial assistance to 160 countries. In 2007-2008 he was Senior Coordinator, White House Task Force on Energy Security and Climate Change, National Security Council, Executive Office of the U.S. President, in 2007-2008. Dr. Dixon was responsible for the Major Economies Climate Change Negotiation Process and contributor to the 2007 Energy Security Act. He was Head, Energy Technology Policy Division, International Energy Agency, Paris, France, in 2005-2007. In 2007, Dr. Dixon and other members of the United Nations Intergovernmental Panel on Climate Change were awarded the Nobel Peace Prize. He served as Associate Director for International Affairs, Council on Environmental Quality, Executive Office of the U.S. President in 2004-2005. Dr. Dixon addressed a range of international energy, natural resources, health and environment issues at the White House. He was Executive Director, International Partnership for the Hydrogen Economy, Washington, DC, in 2003-2004. . In 2004 the U.S. President honored Dixon with the U.S. government Senior Executive Service Gold Award for service to the nation. 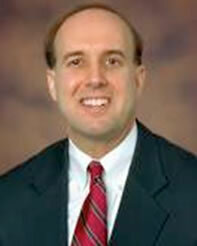 Dr. Dixon served as U.S. Department of Energy (DOE) Deputy Assistant Secretary for Power Technologies, 1999-2002. Prior to serving as Deputy Assistant Secretary he was appointed to several other leadership positions at DoE. He led two U.S. Presidential Initiatives from 1992-1998: the U.S. Country Studies Program and the U.S. Initiative on Joint Implementation to advance the strategic goals of the U.N. Framework Convention on Climate Change (FCCC). Dixon has been a member of the U.S. negotiating team for the U.N. FCCC since 1990-2008. He has also served in a variety of senior U.S. diplomatic assignments and lived in seven countries during his career. In 1989, Dixon joined the U.S. Environmental Protection Agency (EPA) Office of Research and Development as a Senior Scientist to support the Clean Air Act and Amendments. In 1991, Dixon was seconded to the EPA Policy Office to support the Administrator and the Executive Office of the U.S. President in preparation for the 1992 U.N. Conference on Environment and Development (Earth Summit). He was awarded the EPA bronze medal for his contributions. The U.S. Agency for International Development (AID) employed Dixon in 1986 to manage energy science and policy programs in Asia. During this period Dr. Dixon led energy policy reform efforts in 11 countries. Dixon has led or developed energy and environment projects for bilateral (e.g., USDA, NASA) and multilateral (e.g., UNDP, World Bank, UNEP) organizations in over 180 countries worldwide (1982 to present). Dr. Dixon is co-founder Plant Health Care, Inc. (1987). Plant Health Care, Inc., a biotechnology research and development firm, markets or licenses processes and products in all 50 U.S. states and more than 30 foreign countries. Dixon started his career in the early 1980s with the Allied Corporation and managed a large-scale research, development and technology deployment program for four years. He is the co-author of two U.S. patents. Dr. Dixon earned his B.S, M.S. (1979) and Ph.D. (1982) degrees from the University of Missouri, Columbia, Missouri. He was a tenured faculty member at the University of Minnesota and Auburn University from 1982 to 1989. Dr. Dixon was awarded an Exxon Fellowship in 1984 and a Smithsonian Fellowship in 1985. He also served as a Visiting Professor at Oxford University, United Kingdom, Humboldt University, Germany, Delhi University, India, and Kasetsart University, Thailand. Dixon is editor, author or co-author of over a dozen books and over 125 scholarly journal articles on energy and environment science and policy topics. Dr. Dixon lectures at the Johns Hopkins University Paul H. Nitze School of Advanced and International Studies (SAIS), Columbia University and Georgetown University. He has been an advisor to the International Foundation for Science, CARE and other philanthropic organizations. He also has been a consultant and contributor to the U.S. National Academy of Science and the U.S. National Academy of Engineering activities during the past 10 years. He was a consultant to the Office of Science and Technology Policy (OSTP), Executive Office of the US President, during the mid 1980s.